There are few modern technologies used so widely in today’s world that have had such an impact then refrigerants and refrigeration. I say this but most people do not even think about refrigeration. It was just something that was always there. You go to the grocery store and buy some ice cream without a second thought. You go to the butcher and buy a steak. You go to a movie theater on a hot summer day and enjoy the air conditioning while you watch your movie. All of this and more would not be available if it wasn’t for refrigerants. I consider refrigerants, refrigeration, and air conditioning to be a ‘hidden’ industry. I started my career in the trucking industry and just like the refrigerant industry trucking is something people just don’t think about. Going back to the same grocery store analogy when people walk into a grocery store they expect food to be there. They do not question how, why, or where it came from. They just expect it. The same can be said with refrigeration. People expect their ice cream to be cold. People expect their frozen dinners and their frozen vegetables. People expect their home to be cold in the summer. 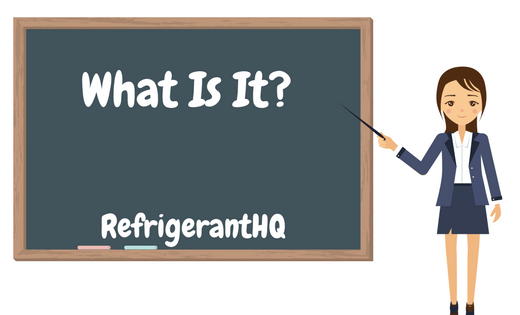 But what are refrigerants? How long have they been around? What would the world look like today without refrigerants? I am going to answer this and more over the next few sections of this page. I hope to have you read on. 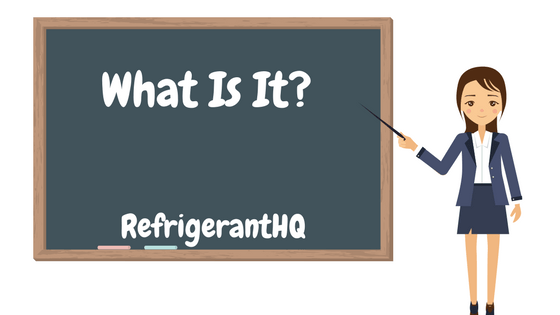 Refrigeration is all about absorbing and displacing heat from a room rather it be in a refrigerator, a freezer, or your home. The principal concept remains the same. In this example today we will be looking at your standard home air-conditioner. While this may not cover a refrigerator or your car’s air-conditioner you should note that the overall concept is the same. First and foremost let me tell you that your home air conditioner does not produce ‘cold air,’ in the same way that your furnace would produce heat. With a gas furnace you have the heat from the flame blowing into your home. Instead of that air-conditioners are all about transferring heat and changing states of the refrigerant. The refrigerant is used to absorb the heat from inside your home, carry that heat to your air-conditioner, and then release it to the outdoors. Once the heat has been removed the colder air blows back into your home. The refrigerant circulates continuously to remove additional heat from your home until your desired temperature is reached. In order for a refrigerant to absorb heat a change of state has to happen. When I say change of state I am talking about going from liquid to gas and from gas to liquid. It is important to remember that the refrigerant cycle is just that, a cycle. That means that it goes over and over again. There is never any break to this cycle and should never be any leak in this cycle. It is a completely sealed process. Within this cycle there are different components that allow for the refrigerant to change pressure, temperature, and state. We will go over these as well as the process of the refrigeration system. 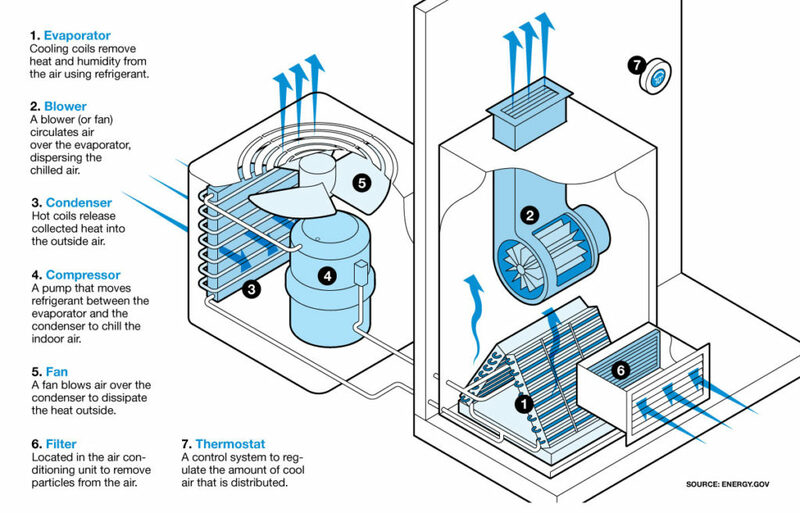 The picture above is a great illustration showing you how everything is laid out for a home air-conditioner. That being said, I will say that it does not label the components in order of process. But, that’s ok I will do that below for you. If you are unsure of what component I am referring to please consult the picture above to get an idea. Evaporator – The evaporator’s cooling coils remove the heat and humidity from the air inside your home using the designated refrigerant. Ever notice when your air conditioner kicks on and doors that were slightly ajar get ‘sucked’ close? That is your system pulling out hot air from your home. Suction Line – This is where the refrigerant is ‘sucked’ into the compressor. This is also known as the low pressure side. Compressor – The compressor is a pump that moves the refrigerant between the evaporator and the condenser to chill the indoor air. The compressor is often seen as the heart of the system. Instead of pumping and metering the blood flow to the rest of your body it pumps and meters the amount of refrigerant to the rest of the system. Upon entering the compressor the refrigerant is in a vapor state and as it’s name suggests the compressor’s job is to compress the vapor. When a vapor is compressed both the pressure and temperature of that vapor increases. The vapor leaving the compressor is VERY hot as a high temperature and high pressure vapor. Discharge Line – The high temperature vapor refrigerant then moves it’s way through the discharge line and into the condenser. Condenser – Upon entering the condenser the high temperature refrigerant air from a fan passes over the coil to cool the vapor refrigerant. As the vapor cools it undergoes a state change and changes into a liquid. At this point is where the hot air from inside your home is removed as the fan blows the air over the coils and outside of your home. If you ever stuck your hand over the top of your air-conditioner you would feel the hot air being blown out. That is your condenser at work. While in the condenser the refrigerant will begin to turn into a saturated state. A saturated state is where vapor and liquid both exist at the same time. The saturated state is where the majority of the energy is transferred. This is where the heat that the refrigerant is carrying is dissipated. At this point the refrigerant begins to absorb the heat and as it does it moves to liquid. Liquid Line – The high pressure liquid refrigerant moves it’s way through the liquid line and into the metering device. This point of the cycle is known as the ‘Subcool.’ If there is a problem with your system this is where most technicians start looking. Metering Device – The metering device’s purpose is to control the amount of liquid refrigerant that will be fed into the evaporator. Inside the metering device is a dividing point between high pressure and low pressure sides of the system. As the refrigerant is passed through the metering device the pressure drops. Evaporator Again – After leaving the metering device the low pressure liquid refrigerant immediately moves into the coils of your evaporator. Just like with the condenser the evaporator has a fan blowing against it’s coils. But this time instead of blowing hot air out of your home it is now blowing the cold air back into your home. Here is where big state change happens. As the refrigerant enters the coil at a lower pressure it begins to bubble and boil and as it does it begins to change state back into a vapor. (Same concept as boiling a pot of water and watching it all evaporate.) During this process of changing state from liquid to vapor the refrigerant is removing energy, or heat, from the air passing over the coils. The heat that was in the air is transferred into the refrigerant. Remember, it’s not about creating cold air but about removing the heat. Since the heat has been removed from the air when the fan blows over the evaporator’s coils cold air will blow into your home. Repeat – After this the whole process is started over again and again until your home has reached the desired temperature set on your thermostat. 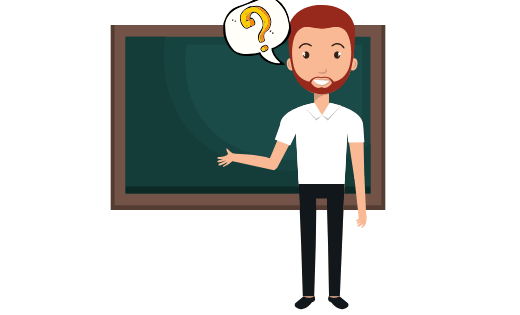 Ok, now that we know the basics of refrigerants and how they work in a system let’s take a look at some of the various refrigerant classifications that are out there. 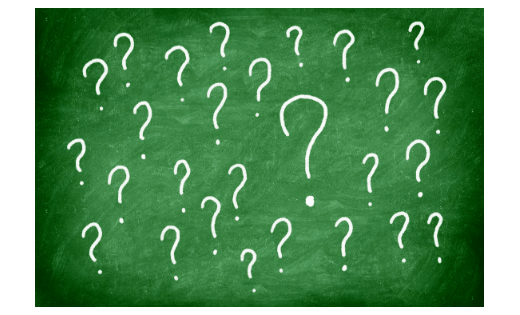 It is very important to keep in mind that there are more than just one or two types of refrigerants out there. In fact there are hundreds of different types, blends, and mixtures of refrigerants. This short walk through below will give you an idea of some of the most common classifications as well as some of the most popular refrigerants within these classifications. Yes, I know that there are more out there but what I am attempting here is to give a basic overview of the most popular classes on the market today and a brief synopsis of them. These refrigerants are just that, unaffiliated. They don’t belong to a specific class of refrigerants like the others. The most popular of these refrigerants is R-744, or Carbon Dioxide. Another one you may recognize is R-717, or Ammonia. I list these refrigerants first as CO2/R-744 was one of the very first refrigerants used in air conditioning going all the way back to the early twentieth century. CFC refrigerants were some of the first as well. 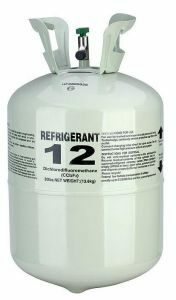 Sure, R-744 beat everyone to the punch but if we look at the overall success and popularity then the CFC R-12 refrigerant takes the cake. R-12 was invented in 1935 by a partnership with the General Motors corporation and the DuPont company and immediately after that date they exploded with popularity. CFC refrigerants were phased out in the 1990’s due to the Chlorine that they contained and the harmful effects that the Chlorine had on the Ozone layer. HCFC refrigerants are CFC refrigerant’s friendly cousin. These refrigerants are very similar and rose in popularity right about the same time as well. 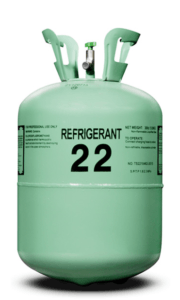 The most common HCFC refrigerant which I’m sure all of you have heard of is R-22. Just like it’s CFC cousin HCFC refrigerants were also phased out due to the Chlorine that they contained. The most recent phase out of R-22 is still going into effect and it will be completely phased out by 2030. HFC refrigerants came around as an alternative to the Ozone damaging CFC and HCFC refrigerants. HFC refrigerants are widely used today. Some of the most popular ones are R-134a, R-404A, and R-410A. HFCs are actually in process of being phased out across the world as well but this time it’s not due to their Ozone depletion. Instead, they are being phased out due to their Global Warming Potential, or GWP. HFO refrigerants are the newest and greatest thing. Again, in an effort to replace the currently used refrigerant HFOs are designed to take the lead while the HFC refrigerants fade into the past. At this point in time, April 2018, the most popular HFO refrigerant is the 1234YF. Honeywell and the Chemours company are pushing the industry forward with their development of the new HFO line of refrigerants and we can expect many new refrigerants to be displayed over the coming years. Hydrocarbons are a type of refrigerant that has been around for decades. They are also known as ‘Natural Refrigerants.’ This is because they are naturally occurring elements rather than manufactured in a lab. Some Hydrocarbons include R-290 (Propane), R-600a (Isobutane), or R-1270 (Propylene). These refrigerants are used sparingly depending on the application needed. They are highly flammable and must be handled with care. Over decades of using CFCs and HCFC refrierants Chlorine began to accumulate in the stratosphere and overtime a hole began to form in the Ozone layer. Now, I say hole but this wasn’t a hole per-say. Instead, there was a weakening of strength in the layer. So, while there was not a hole the thickness of the Ozone was decreasing and decreasing rapidly thanks to the CFC and HCFC refrigerants. Soon after that date marked the beginning of the end for CFC and HCFC refrigerants across the globe. The industrialized countries, like America, began to phase out the refrigerants first. R-12 was phased out in the early 1990’s and that was just the start. Out with the old and in with the new, so they say. The refrigerants that were proposed to replace CFCs and HCFCs were known as HFCs, or Hydroflurocarbons. These refrigerants contained no Chlorine so there was no chance of them hurting the Ozone layer. Some of these refrigerants include popular refrigerants today known as R-134a, R-404A, and R-410A. But, now these refrigerants are under fire for their increase to Global Warming. This my friends is where our friends the HFC refrigerants come into play. It was in the same 1980’s decade that the development and distribution of HFC refrigerants began. Like with any new product there was a lot of trial and error over the years until the right product was found. HFCs really made their debut here in the States in the year 1992. This was the first year that the majority of automobile manufacturers stopped using R-12 refrigerant and made the switch over to the new HFC R-134a alternative. As far as I know this is the first major switch away from CFC/HCFC refrigerants and over to HFCs. There isn’t a lot of data here that I could find so if I am incorrect here please let me know by contacting me. The point here is that this was the beginning and shortly after the rest of the applications began to switch to HFCs. The next big move was going after R-502. R-502 was found in a lot of your commercial and industrial refrigeration, ice machines, chillers, and a variety of other applications. The switch here was over to the HFC refrigerant known as R-404A. Now, I’m not going to go through every phase out there was here. Instead I will just mention one more, the biggest one in fact. In 2010 the phase out of HCFC R-22 was put into place. R-22 was HUGE. Nearly every home air conditioner, commercial air conditioner, as well as even some refrigerated transport used R-22. 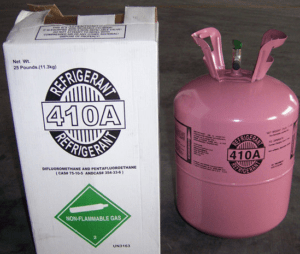 The suggested replacement refrigerant was the HFC R-410A. Now, as I write this we are still in the phase out period of R-22. Yes, the date started in 2010 but the final date of one-hundred percent completion is the year 2030. Every five years or so the restrictions on imports and production of R-22 grow tighter and tighter. Eventually the cost on R-22 will be so expensive that no one will want to touch it. Alright folks so it’s been twenty-five years since we started using HFC refrigerants. Just like before HFCs are embedded and used all across the country and the world. There is no chance of any more harm coming to the Ozone layer as these HFC refrigerants contain no Chlorine. So, we’re all good right? Wrong. We now have a new problem when it comes to HFC refrigerants. Well, a somewhat, new problem. The problem we have now is not Chlorine but instead Global Warming Potential, or GWP. GWP is a measurement of how much heat a greenhouse gas can trap in the atmosphere. To set the scale at zero we compare the GWP of Carbon Dioxide, or CO2. The GWP of CO2 is one. That gives us our baseline. Now, if we look at one of the most commonly used HFC refrigerants, R-134a, we can see that it has a GWP of 1,430 times that of Carbon Dioxide. Think that’s bad? Let’s look at R-404A. 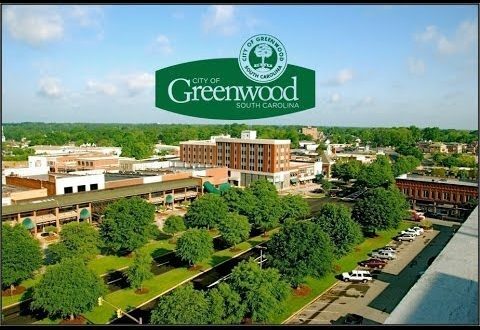 R-404A has a GWP of 3,922. Every time an HFC refrigerant is accidentally vented or is leaked into the atmosphere it contributes to Global Warming. Refrigerants are seen as Greenhouse Gases and when they are released they float to the top of the atmosphere and act as an insulator to the earth and warms everything up, hence we have Global Warming. So, now there is a big push across the world to begin phasing out HFC refrigerants just like we did twenty-five years earlier with CFCs and HCFCs. Here is where things get a bit messy though folks. In the 1980’s the United States’ Government signed the Montreal Protocol. This treaty pledged to phase out all Ozone depleting substances from use. On top of this the United States also added their own amendment to the Clean Air Act allowing them to ban Ozone depleting substances. The problem we have here is that these same countries who banned CFC and HCFCs all that time ago are now trying to use this same treaty and this same Clean Air Act to ban non-Ozone depleting substances. Remember, HFCs don’t have Chlorine. That was their whole point. So, how may I ask can we ban something under the Ozone depletion law/treaty when this product doesn’t deplete the Ozone? In September of 2016 the nations got together again and added an amendment to the original Montreal Protocol treaty. This amendment called the ‘Kigali Amendment,’ pledged to the world that these nations would begin phase outs of HFC refrigerants across their country. About a year before this amendment was signed the United States’ Environmental Protection Agency announced a new rule to their SNAP program. (Significant New Alternatives Policy.) This new rule, called SNAP RULE 20, stated that the phase out of HFCs refrigerants would begin as early as 2018 in the United States. Again, the EPA created this phase out plan based off the backs of the Chlorine and Ozone depleting chemicals. In August of 2017 a Federal Court ruled against the EPA stating that they had overstepped their bounds and that they could not arbitrarily phase out refrigerants that had nothing to do with the Clean Air Act. 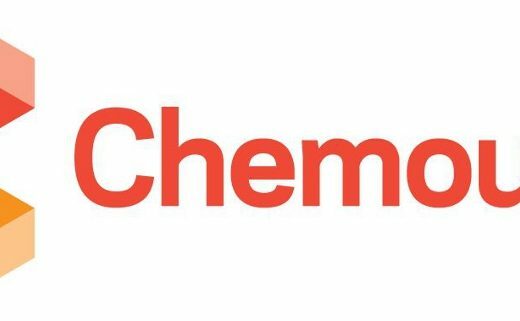 Honeywell and Chemours both filed for an appeal in September of 2017. This appeal was rejected and as of today in April 0f 2018, the court’s initial ruling in August of 2017 stands. Whatever happens over the new few months and years is uncertain but I can comfortably tell you today that the end of HFC refrigerants is near. I do not see this going away any time soon. If Honeywell and Chemours lose their court battle here there will be another series of battles and pushes to get HFCs gone. You may ask what will be taking their place. Well, at this point there are two options that the world has. We have the same Hydrocarbons that were used nearly one-hundred years ago. The upside here is that our technology has improved substantially from then. The problems we had with Hydrocarbons back then would not be happening today. In fact a lot of companies an countries are already using Hydrocarbons and other unassigned refrigerants such as R-744 and R-290 in everyday applications. The other alternative we have is Honeywell and Chemours’ new HFO refrigerant line. HFO stands for Hydrofluroolefins. These are a new class of refrigerants that was built in the labs of Honeywell and Chemours. These refrigerants are designed to have zero Ozone depletion potential along with a minimal Global Warming Potential. Regardless of what happens over the new few years HFCs will still be around for a while but they are sure to be eclipsed by the new technology and the push away from harmful GWP refrigerants. The future of refrigerant is anything but certain. As I write this article it is towards the middle of April of 2018. The era of CFC and HCFC refrigerants have all but ended. Sure there are still a few holdouts out there that still have their old R-22 air conditioner running but for the most part everyone has switched over to their new and improved R-410A HFC refrigerant. Give it a few more years and the only R-22 cylinders you’ll be able to find are the old rusted out ones that some guy kept in his garage for twenty years because he was going to use it down the road. Don’t believe me? Just check out some R-12 cylinders on E Bay and you’ll know exactly what I’m talking about. 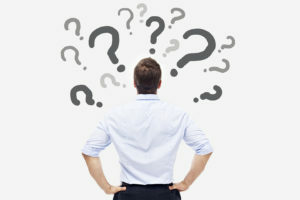 The question now is when exactly all of the HFC refrigerants will be phased out and replaced with either HFO’s, CO2, or Hydrocarbon refrigerants. Depending on where you look in the world some nations have already begun mass phasing out HFC refrigerants. As an example R-134a, the refrigerant used in most automotive applications, has effectively been banned across the European Union. In it’s place is the HFO 1234YF. If you move away from automotive and look more towards chillers or even vending machines you will notice that most of these have begun being switched to CO2 or R-744. On top of that if you look at other applications you’ll find R-290 or other Hydrocarbons being used. It’s a mish-mash of all different types of refrigerants spanning out across all of the applications. There is a battle being raged right now between these refrigerants. I like to think of it as a battle of the old world versus the new. The old world are the tried and tested Hydrocarbon or unclassified refrigerants such as R-744. These refrigerants have been around for over a century. Sure, there were problems with them in the past but we now have improved technology and we can now make these refrigerants just as efficient, or as close as we can be, to the HFC refrigerants on the market today. The new world are the HFO refrigerants that are being developed in laboratories by the companies Honeywell and Chemours. These refrigerants are all new to the world. The HFO refrigerants are designed to be the best they can be and to give your unit the most efficiency as well as being environmentally friendly. The downside to this is that they are very expensive, at least starting out. The price may fall as time moves on. So, folks, in conclusion refrigerants are a absolute necessity to our modern day lives. They power and cool nearly everything you can think of. Think about how much there is in the world today that is affected by these miracle chemicals known as refrigerants. You walk into your home on a hot summer’s day. You go to the grocery store and purchase a pound of beef from a refrigerated case. How did that beef get to the grocery store? Through a refrigerated truck. How did that beef get slaughtered and preserved before being shipped out? Through a refrigerated warehouse and processing center. As I said before the refrigeration industry is a somewhat hidden gem in the world but if you take the time you’ll find that there is a whole lot to learn and a lot of knowledge to be gained.